The iPad Pro is gargantuan. Its 12.9-inch Retina HD display dwarfs the iPad Air 2. Its Hulk-powerful, but still thin and light. It's basically Apple's version of the Microsoft Surface Pro 3. Apple dedicated a big chunk of its September Apple event to highlight the biggest iPad ever. But in the product-packed event (new iPhones, Apple TV and Apple Watch news) that ran over two hours, there wasn't enough time to get to all the details, so we dug them up for you. Here's what you may not know about Apple's huge new iPad. The iPhone 6S and 6S Plus' marquee feature is 3D Touch. Pressing harder on the screen will bring up shortcuts or previews (called peeks and pops). It's basically the Apple Watch's pressure-sensitive Force Touch, but for the iPhones. You'd think the new expensive iPad Pro would have it, right? Nope. There's no 3D Touch on the iPad Pro. Maybe next year's model? Pricey $99 price tag aside, the Apple Pencil can recharge via the iPad Pro's Lightning port super quick. 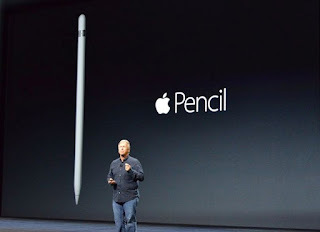 Apple's spec rates a 15-second (yes, second) charge at 30 minutes of Pencil usage time. Speaking of the Lightning port on the iPad Pro, it's now bidirectional (like USB Type-C ports on future Android devices), meaning it can be take in power and output power. Until now, no other Apple device with a Lightning port has been bidirectional. At the moment, we only know the iPad Pro's Lightning port can charge the iPad Pencil. What we don't know is if it can output enough power to charge up other accessories. It would be pretty neat to be able to charge up future Fitbits or other fitness trackers with a Lightning connector. As we noted on Apple's big day, the Apple Pencil doesn't just cost $99, but only works with the iPad Pro because its tip is not capacitive. 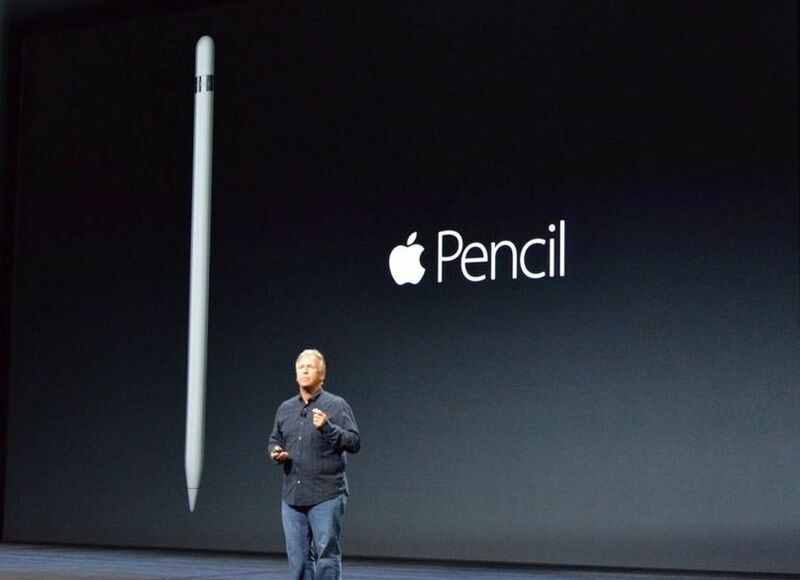 You won't even be able to use it as a regular non-pressure-sensitive stylus on old iPhones and iPads. Apple didn't outright declare Bluetooth keyboards unwelcome on the iPad Pro, but it might as well have. The iPad Pro has a new magnetic port called the Smart Connector. The new connector can connect Apple's Smart Keyboard and supply it with power — no Bluetooth connection required. That's great news because Bluetooth keyboards can be finicky and have connection problems at times. The connector also means third-party keyboards like Logitech's CREATE keyboard for the iPad Pro can be thinner and lighter since they don't need to have batteries inside. Go ahead and eat your chips and burrito all over Apple's Smart Keyboard. And while you're at it, you can feel free to use it as coaster and spill as much soda and beer on it as you want. For $169 keyboard, it damn well better be soda-resistant. It's saddled with an 8-megapixel back iSight camera with an f/2.4 aperture lens. In other words, the quality is pretty meh and low-light performance is going to be garbage — like on the iPad Air 2. It's time Apple stops crippling the iPad with cameras that are inferior to the iPhone's. There's really no good reason why the 12-megapixel back camera and the 5-megapixel selfie camera on the iPhone 6S and 6S Plus aren't on the iPad Pro. This is tablet starting at $800 for crying out loud. 8. There's a ton of RAM. RAM, short for Random Access Memory, is the memory every computer needs to read and write data. Memory is not to be confused with storage, which is the amount of bytes used to store data. In a press release for its Creative Cloud apps, Adobe originally stated the iPad Pro has 4GB of RAM. Though the release has now been edited to remove the spec, well-connected Apple bloggers like John Gruber strongly believe it has 4GB of RAM as well [Source : Mashable].